Each 4,050 sq. ft. three bedroom villa expands on the two-bedroom villa offering three bathrooms and even more living space as well as floor-to-ceiling glass windows for spectacular ocean views, two infinity-edge private pools, expansive outdoor patio decks, relaxing hammocks, BBQ grills, lush tropical landscaping and built-in owner’s storage. The 3-bedroom villa also features a “lock-off” configuration offering a completely self-contained studio that can be rented or used separately. Spacious 343 sq. ft. living area with ocean views, plush furnishings and coastal accents. Covered 714 sq. ft. patio perfect for dining, lounging and entertaining. Two 274 sq. ft. grand master bedrooms facing the breathtaking ocean views. Grand 194 sq. ft. kitchen with centrepiece island, granite countertops and top-of-the-line appliances. 210 sq. ft. third bedroom welcoming in lush garden views. 82 sq. ft. of owners storage. Two grand ensuite master bathrooms and powder room. 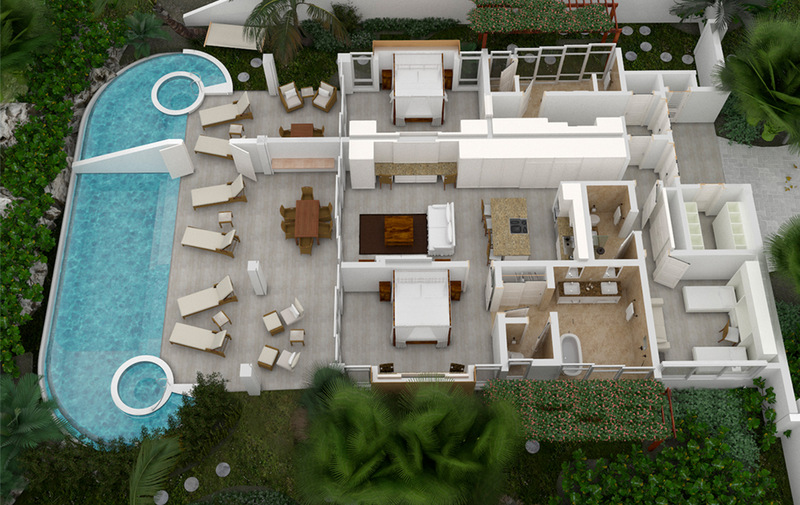 Expansive and luxurious, each three-bedroom villa is an evolution of the two bedroom footprint, offering even more space to enjoy 180° ocean views. 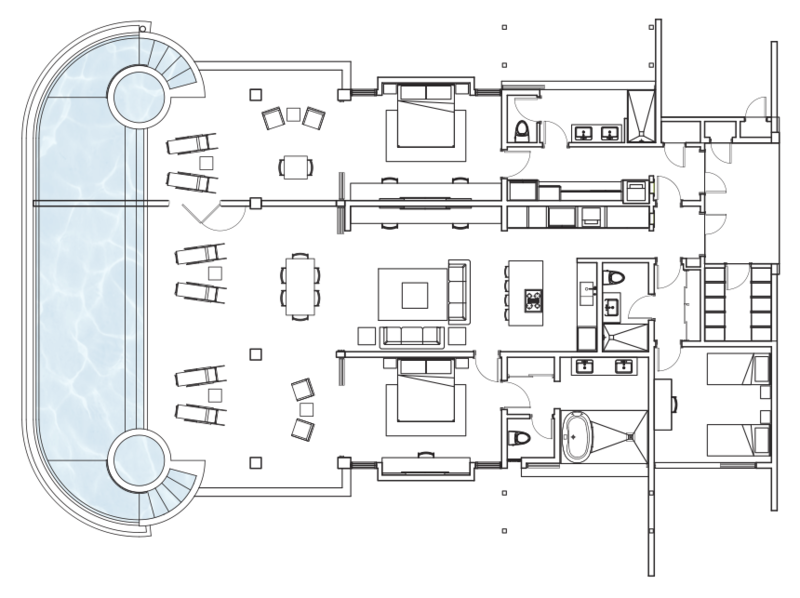 The attached floor plans are artistic impressions intended for visual purposes only.